In the history of motocross, there have been a few extraordinary races that were truly “game-changers,” races that marked a major shift in the balance of power. The late Jim Pomeroy exploded onto the Grand Prix scene as “First American” when he won the 1973 Spanish 250cc GP. Team USA shocked the world when they dominated the 1981 Motocross and Trophee des Nations. And Jeremy McGrath's breakthrough Anaheim Supercross win in 1993 marked the beginning of a whole new era in AMA Supercross. And then there was the 1976 Hangtown 125cc National opener. Everyone expected two-time series champion Marty Smith to once again dominate, just as he did in 1974 and '75. But Team Yamaha had a longshot entry in a young man named Bob Hannah. A SoCal local hero, Yamaha had hired the man from Whittier, California to take on the Honda-backed Smith. Signs of a coming storm were on the horizon as Hannah beat everyone at the Florida Winter-AMA races on a 250, where the team had gone to train all winter. He also fared well in the early Supercross races. 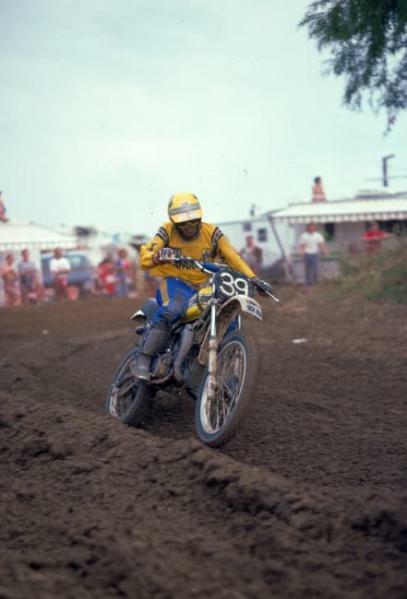 Bob Hannah would win the 1976 AMA 125cc National Motocross Championship. Still, no one thought he might be a match for Marty Smith on 125s, but then Hangtown happened, at the old, sandy Plymouth track, and the wild-riding Hannah absolutely shocked everyone with a pair of moto wins on the #39 Yamaha. Hannah was soon being hailed a “Hurricane,” and he would go on to win the 1976 AMA 125cc National Motocross Championship. He would also dominate much of the next three years of racing, working off his Hangtown win to build a record-shattering volume of work. To know more—a lot more! —about Hangtown '76 and the works Yamaha that Hannah raced into the spotlight upon, check out this epic feature. And here are the race results from that afternoon, courtesy of Racer X's The Vault.